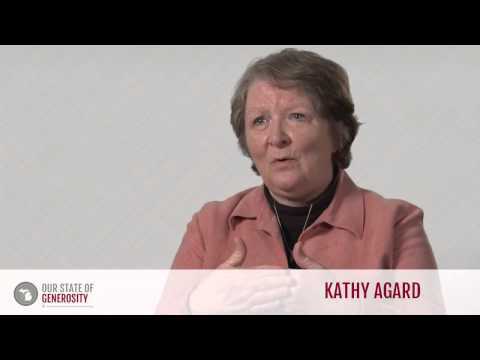 Dr. Kathryn (Kathy) Agard is the author of Our State of Generosity, building on a 40-year career in the nonprofit and philanthropic sector. She served in numerous executive level roles across local, state, regional, and international nonprofit organizations. For nearly 25 years, she led the development and implementation of two of Michigan's major philanthropic initiatives — the Michigan Community Foundations' Youth Project and Learning to Give — for the Council of Michigan Foundations. Her last position, prior to retirement, was as the executive director of the Dorothy A. Johnson Center for Philanthropy at Grand Valley State University. 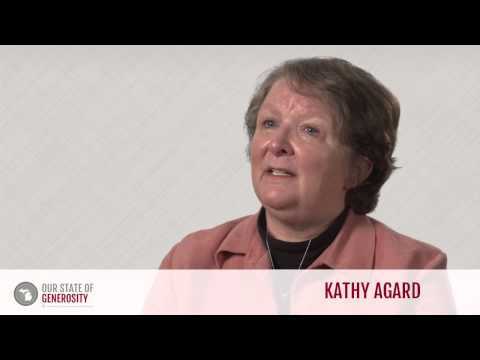 Dr. Kathy Agard talks about her career in philanthropy. 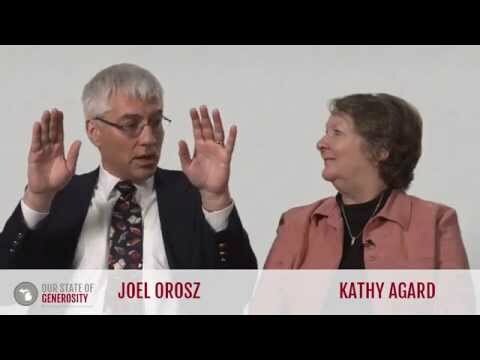 Dr. Kathy Agard and Dr. Joel Orosz discuss their concerns with the movement toward a business model of philanthropy. Dr. Kathy Agard talks about Kellogg's commitment to creating more community foundations in Michigan through the challenge grant and youth advisory committees (YACs). Dr. Kathy Agard talks about how you need inclusion, big vision, and strong relationships in order to build successful philanthropic infrastructure. 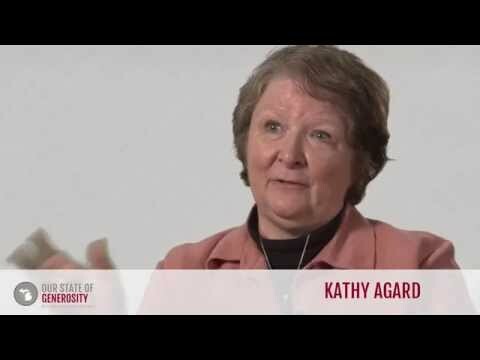 Dr. Kathy Agard talks about how young children contribute to and benefit from Learning to Give. 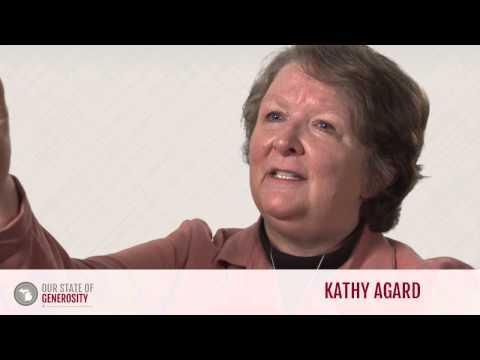 Dr. Kathy Agard talks about the mission and development of the Michigan Tax Credit. Dr. Kathy Agard and Dr. Joel Orosz discuss the success of the Michigan Community Foundations' Youth Project (MCFYP). Dr. Kathy Agard talks about the balance of money, knowledge, and talent in philanthropic work. Dr. Kathy Agard talks about how the Michigan Community Foundations' Youth Project (MCFYP) grew out of the values of big vision and collaboration. 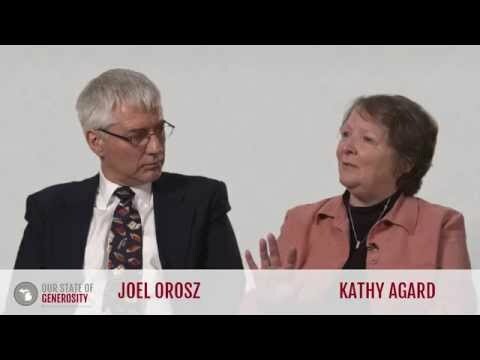 Dr. Kathy Agard and Dr. Joel Orosz talk about how children embody the kind of fearlessness that allows youth philanthropy to create bold and innovative change. Dr. Kathy Agard talks about how the process of achieving good is messy and requires patience, proper timing, and rigorous fundraising. 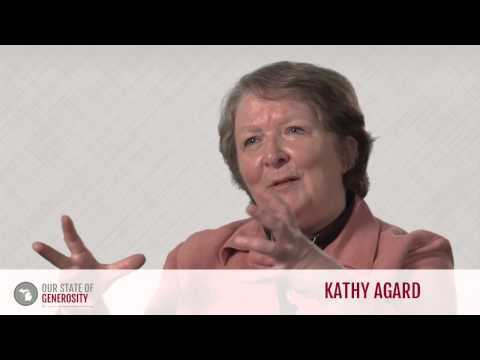 Dr. Kathy Agard talks about how the philanthropic spirit of giving means worrying less about ego or individual copyright and more about furthering the cause. Dr. Kathy Agard and Dr. Joel Orosz discuss how flexible planning and big vision allowed the Michigan Community Foundations' Youth Project to flourish. Dr. Kathy Agard and Dr. Joel Orosz discuss the remarkable leadership of Russ Mawby. Dr. Kathy Agard talks about the mission and development of the community foundations Branding Project. 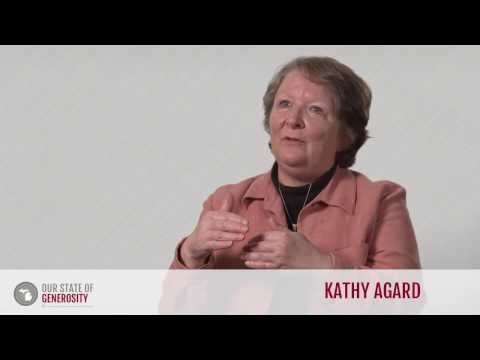 Dr. Kathy Agard and Dr. Joel Orosz discuss the importance of servant leadership and sharing credit in philanthropic work. Dr. Kathy Agard talks about how the tax credit compelled the philanthropic sector to legally define what it means to be a community foundation. 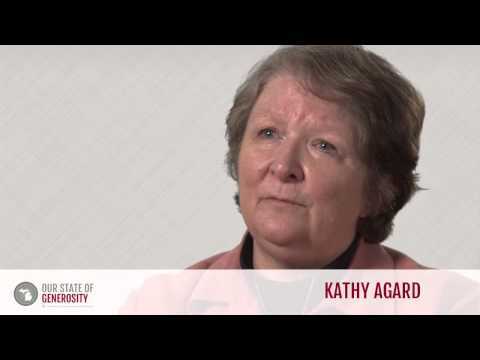 Dr. Kathy Agard talks about how Learning to Give developed benchmarks for students K-12. 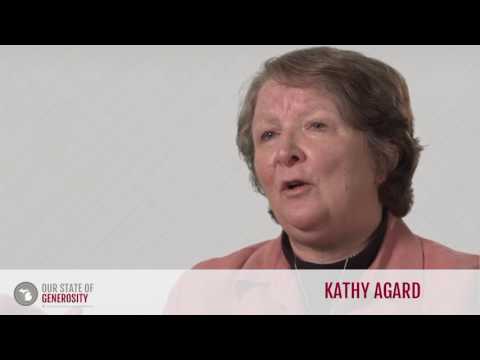 Dr. Kathy Agard talks about the mission, development, and funding of the Foundation Information Management System (FIMS). 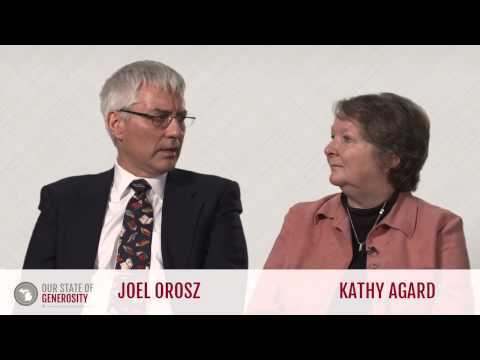 Dr. Kathy Agard and Dr. Joel Orosz discuss the remarkable leadership of Dottie Johnson. 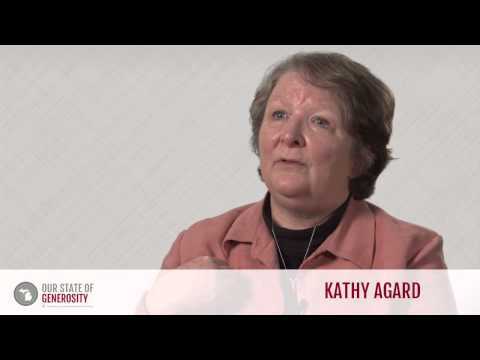 Dr. Kathy Agard talks about the history and development of Learning to Give. Dr. Kathy Agard talks about how Learning to Give was successful because it was led by teachers, rather than standards or school boards. 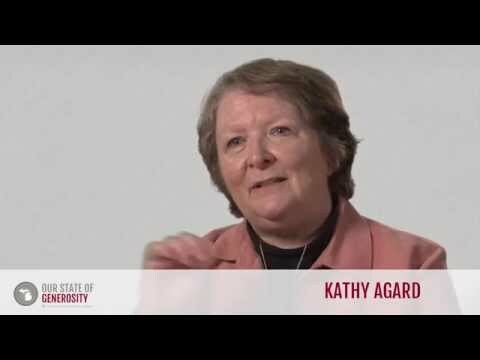 Dr. Kathy Agard talks about both the resistance and success to youth grantmaking through the Michigan Community Foundations' Youth Project (MCFYP). Dr. Kathy Agard and Dr. Joel Orosz talk about the push for diverse Youth Advisory Committees and the success stories that resulted. Dr. Kathy Agard and Dr. Joel Orosz discuss the effects of prolonged adolescence on today's youth and how philanthropy can help. 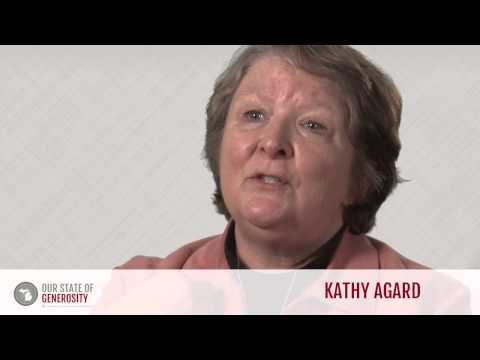 Dr. Kathy Agard attended Albion College, where she earned a bachelor’s degree in political science and communication. She later earned a master’s degree in public administration from Western Michigan University. While working at a community hospital in her hometown of Muskegon, Michigan, Dr. Agard returned to Western Michigan University to pursue a doctorate in educational leadership with double majors in public administration and human resource development. One of Dr. Agard’s first personal experiences with the world of philanthropy came when she received a debate scholarship that helped her to attend Albion College. After graduating, she worked for a short time as an admissions counselor for Albion before taking a job as a social worker for a regional center that served people with disabilities. In this position, she assisted individuals who were returning home from mental health institutions by connecting them with support structures. This position allowed Dr. Agard to build connections that led to her working at the newly-organized Community Mental Health of Ottawa County, where she developed their Life Consultation Center, a service that provides a lifelong support system for families who have children with disabilities. She also built connections with hospitals and managed volunteers. After two years, Dr. Agard accepted a similar position at Muskegon Community Mental Health. After leaving Muskegon Community Mental Health, Dr. Agard spent a significant amount of time working for Planned Parenthood in a variety of positions. Initially, she worked as a half-time director for Planned Parenthood in Muskegon before moving with her husband to Ann Arbor, Michigan, where she took a position at the regional office of Planned Parenthood Federation of America. This role had her performing multi-state technical assistance for nonprofit organizations including risk management, human resource development, and board development. This sparked her interest in how nonprofits operate. After a year and a half in Ann Arbor, Dr. Agard and her family moved to Philadelphia where she became the associate director, and then executive director of Planned Parenthood of Southeastern Pennsylvania, serving three metropolitan counties. Dr. Agard was the youngest CEO of a metropolitan Planned Parenthood organization in the nation. Dr. Agard and her family then returned to Muskegon where she assumed responsibility as the public relations director for Hackley Hospital. She was later promoted to vice president of planning and worked with volunteers, handled planning, and acted as a lobbyist. During this time she was also able to earn her doctoral degree from Western Michigan University. Dr. Agard was recruited by Dorothy A. Johnson to work for the Council of Michigan Foundations in leading the development of the Michigan Community Foundations’ Youth Project. Dr. Agard worked at CMF for almost 20 years, during which she was crucial to many different projects, the largest of which were the Michigan Community Foundations’ Youth Project (MCFYP) and the K-12 education initiative Learning to Give. In 2006, Dr. Agard became the executive director of the Dorothy A. Johnson Center for Philanthropy, as well as an associate professor with the School of Public, Nonprofit, and Health Administration at Grand Valley State University. The Johnson Center grew under her leadership before she retired at the end of 2010. The Michigan Community Foundations’ Youth Project (MCFYP) was Dr. Agard’s initial undertaking with the Council of Michigan Foundations. MCFYP endeavored to strengthen and spread community foundations throughout the state, and to create a youth endowment and Youth Advisory Committee (YAC) for each community foundation. The Youth Advisory Committees would be comprised of diverse young people under the age of 21, and would empower them to act as grantmakers. This gave them the ability to solve issues within their community while educating them on the process of grantmaking and the capacity of foundations and nonprofits to create change. MCFYP succeeded in reaching its goals; every Michigan community has access to a community foundation, and YACs continue to operate across the state. The project has become a model for youth grantmaking across the nation. After working on MCFYP for eight years, Dr. Agard began work on another project, which was then called the “K-12 Education in Philanthropy Project,” but is now known as Learning to Give. This initiative provides K-12 teachers with the tools to incorporate themes and topics about philanthropy into their classrooms. The vision behind Learning to Give is that all youth should have an understanding of philanthropy, how it affects their community, and how they can become actively involved in philanthropic activities. This is facilitated through the creation of lesson plans that integrate a focus on philanthropy into topics that teachers are already required to teach, thus delivering the philanthropic lessons to kids without creating new requirements for already overburdened teachers. These lesson plans were created by teachers, for teachers, and are available online for download for free. Dr. Agard acted as executive director of the Learning to Give initiative for the Council of Michigan Foundations from 1997 to 2006. During this time, she guided its focus and development and created a program that would later spread from Michigan to much of the United States. In 2006, Dr. Agard left the Learning to Give project to take the position of executive director of the Dorothy A. Johnson Center for Philanthropy at Grand Valley State University (GVSU). Under her leadership, the Johnson Center introduced new functions, and saw an increasing income each year. Among the expansions were the creation of The Foundation Review, the first peer-reviewed journal on the nonprofit and philanthropic field, and the creation of the Frey Foundation Chair for Family Foundations and Philanthropy (1). Dr. Agard retired from this position at the end of 2010, and was succeeded by Dr. James Edwards, who said “Dr. 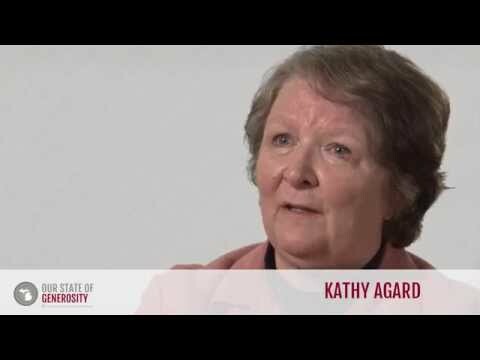 Kathy Agard retired, leaving us with a strong local and national reputation. We plan to continue building on her work and our commitment to being a key organization in support of the philanthropic and nonprofit work in Michigan and nationally.” During this period, Dr. Agard was also teaching as an associate professor with the School of Public, Nonprofit, and Health Administration at GVSU (2). Dr. Agard has been involved as a volunteer with a number of nonprofit groups, and has acted on a variety of boards within the sector. She served as vice chair of the board of trustees for Hackley Hospital, as well as chairing its investigational review committee, and serving on its personnel committee. She also has been very active within her church, Temple United Methodist Church, and has been involved with the both the board of trustees and the board of advisors for the Michigan Nonprofit Association. Additionally, Dr. Agard has been an active writer in the field, notably editing the two-volume series, Leadership in Nonprofit Organizations: A Reference Handbook. Dr. Agard was interviewed regarding her insights and experiences in working with Michigan’s philanthropic community and the Our State of Generosity (OSoG) partners. The following are selected quotations from her interview specifically related to the five organizing themes of the OSoG project.